Here at Head for Points we understand what really matters to our readers. That is why this story had to be the lead one today! 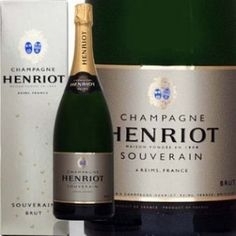 From 27th March, British Airways will be serving a new champagne in its Club World cabins – Henriot Brut Souverain NV. This did apparently win a blind taste test. You may be cynically thinking that it is also cheap, but Jancis Robinson recommended it at Christmas so I am quietly confident. I will see if the crew will bring me a glass into First Class in early April …. de Castelnau Rose and de Castelnau Brut Reserve NV will also continue to be available. And new champagne in Club Europe too ….. If you’ve not flown Club Europe so far this year, you won’t know that de Castlenau Brut Reserve NV has replaced the Heidsieck Monopole. Monopole has been the CE champgne since, well, the dawn of time, or at least as far back as I can remember. Reports on Flyertalk are mixed so far. There will be even more excitement on board from Tuesday (long-haul) and a week on Tuesday (short-haul) as new cutlery is introduced in all cabins except First. 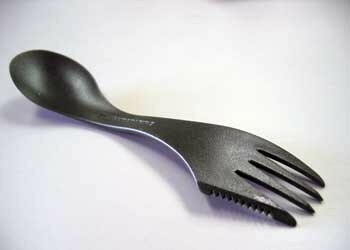 Coming rather late to the party, given the current oil price, this new cutlery will be noticeably lighter than the current version which apparently leads to fuel savings. I should have pirated the article I saw the other day about which airlines do and don’t serve caviar in F, you’d have liked that one. 3rd most read article of the last 7 days – will be 2nd by Monday lunchtime! Admittedly things are a bit thin news-wise at the moment but I would have run this regardless.